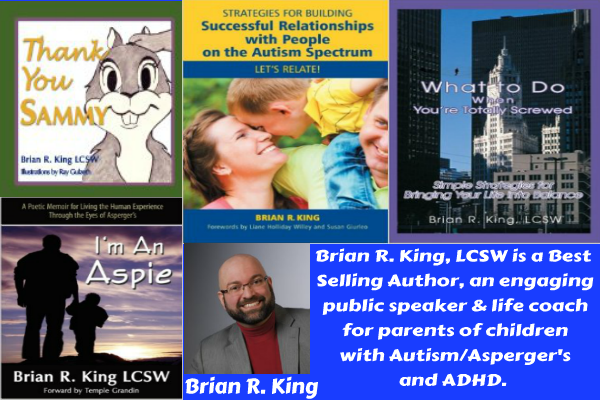 Brian R. King LCSW is a Relationship Breakthrough Specialist who trains parents and educators to use innovative communication strategies to connect more effectively with their children/students on the autism spectrum. 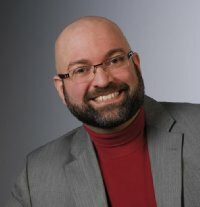 As a 24 year cancer survivor, adult with Dyslexia, Dysgraphia, A.D.D., the father of three sons on the autism spectrum as well as someone who lives on the autism spectrum myself, I’ve learned something very critical. That success in life has nothing to do with circumstances but everything to do with strategies. I’ve become a master of turning Problems into Possibilities and Obstacles into Opportunities and I’ve learned to teach my clients to do the same thing using what I refer to as “The Effective Factor.” A laser focused ability to make small shifts that create massive results in every area of your life.